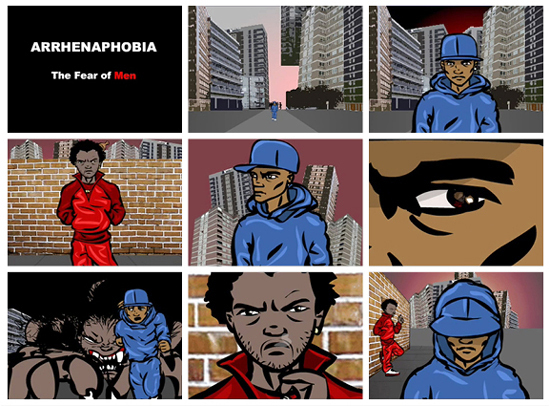 The aim of the Urban Jungle project was to create a motion picture depicting as well as educating our target audience concerning the social issues surrounding inner city London. We were asked to highlight and explore modern life whilst giving the viewer a healthy portion of food for thought. We created a series of animations based on our knowledge and research of urban life in inner city London amongst young adults. The urban Jungle animations have been played in several places, such as seminars and on TV stations such as OHTV.